Millennium 7 Publishing Co.: Becoming A Social Media Patient Influencer? 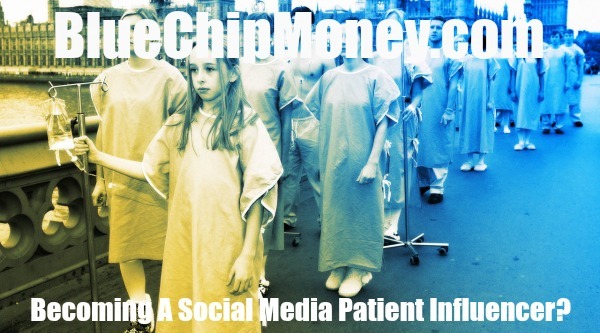 Becoming A Social Media Patient Influencer? Barby Ingle can tell you all about living with chronic pain. Fifteen years ago, while driving to work at Washington State University, a van smashed into her car, twisting her 90-pound frame in her seat..
A doctor diagnosed whiplash, put her in a neck brace, and sent her home. But the pain got worse, spreading across her body like lighter fluid set aflame. No fewer than 43 doctors tried to find the source of her agony. It was seven years before a specialist identified the problem: reflex sympathetic dystrophy, sometimes called complex regional pain syndrome. Infusion treatments got her out of a wheelchair and back on her feet. Ingle started sharing her story, first with a blog, and then a book, and then on social media. Today, she has more than 26,000 Twitter followers who seek her guidance in dealing with insurance, living with chronic pain, and, perhaps most importantly, maintaining hope. To her surprise, she is something of an online celebrity, or perhaps more accurately, a patient influencer. Just as Snapchat and Instagram and YouTube have influencers, so too does medicine.. Chronic diseases occupy an online world of memes, hashtags (#hospitalglam), and people who provide information and insights to communities that too often feel they have no voice. A growing number of companies are hiring these patient influencers to reach, and understand, these folks. And, of course, sell them stuff. Last month, the Boston company Wego Health launched a web-based platform that introduces pharmaceutical firms, medical device manufacturers, hospitals, and insurers to people like Ingles. Those firms, in turn, pay influencers for access to their experiences, expertise, and followers. Ingles started working with Wego's beta pilot last year and takes a few jobs a month. Wego is something of a bulletin board where companies post their needs - someone to recruit 50 people for a survey, for example, or represent the patient perspective on a panel and influencers vetted by Wego apply. All the details are left to the parties involved; Wego only coordinates the introductions. Social reach is the chief currency on Wego’s Health Experts platform; patient influencers are evaluated on the size of their Twitter, Facebook, Instagram, YouTube, and Snapchat followings as well as blog subscribers and impressions. The company says there aren’t any magic numbers for people to qualify - especially for rare diseases where the communities are small. Rather, it’s all about the relative size of someone’s digital footprint. So far, the company has invited 175 influencers to join its league of experts, and they represent almost as many diseases' from irritable bowel syndrome to lupus and lung cancer. Related Article: A Social Media Travel Influencer? In a sense, the company is democratizing the lucrative business of health care by bringing in people who actually live with the disease. Forty-five companies have profiles on the site: health start-ups, marketing research companies, and brand strategy agencies with pharmaceutical clients that will hire the influencers. But that model blurs the lines between sponsored content and real life, by leveraging the trust these influencers have built over the years with their unique communities. And when it comes to health care, the stakes are a lot higher than choosing the right juice cleanse. Some people on the platform put their personal disease journeys front and center of their social media channels - posting hospital gown selfies and live tweeting colon imaging procedures. But other patient influencers work more behind the scenes. Jodi Dwyer, an oncology social worker from Boston who was diagnosed with multiple sclerosis in 2008, has recruited other MS patients for surveys, sat in on focus groups, and spoken on panels hosted by various pharmaceutical manufacturers. Related Article: A Social Media Influencer Mini-Economy? Related Article: A Big Brand Influencer Army? Guest Authored By Megan Molteni. Megan is Science Writer for Wired. Follow Megan on Twitter. Related Article: YOUR Social Media Influencer Alliance? "Social media provides people with a virtual community in which to voice concerns, seek advice, and overcome the stigma that too often accompanies a chronic disease. The risk lies in corporate interests undermining the integrity and efficacy of these networks to serve their own ends. On the other, other hand, the internet created professional miniature food-makers and frisbee trick shot throwers; why not professional patients??"